So who is the most followed icon? Burson-Marsteller’s Twiplomacy study is an annual global survey of how world leaders, governments and international organisations use social media. So what has the latest study unearthed? Well, religion is still relevant even in these modern times. 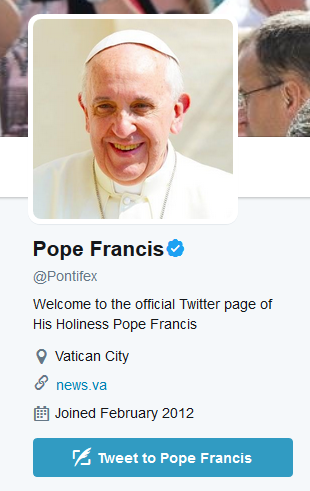 Pope Francis is the most followed icon on Twitter. The Pontiff is ahead of U.S. President Donald Trump and Indian Prime Minister Narendra Modi. Twitter is the prime social network used by 276 heads of state and government, and foreign ministers, in 178 countries, representing 92 percent of all United Nations (UN) member states. Facebook is the second-most used social platform by world leaders, with 169 governments having established official pages. However, world leaders have, on average, twice as many followers on their Facebook pages as followers on Twitter. Data for Twiplomacy, which updated the studies about Facebook, Instagram, Snapchat and Periscope, was captured in May 2017 using Burson-Marsteller’s proprietary Burson tools, CrowdTangle.com and Twitonomy.com. 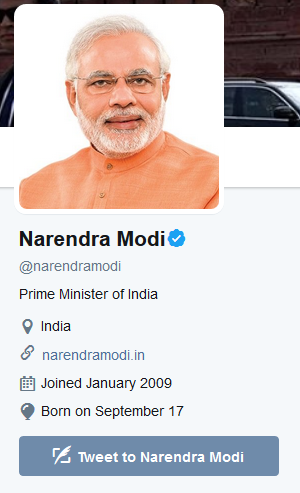 President Trump is among a very small group of leaders who manage their own Twitter accounts, and his tweets have generated 166 million interactions (likes and retweets) over the past 12 months – including the nearly four months since he was sworn in as U.S. President – almost five times as many as Modi with 35 million interactions. Saudi Arabia’s @KingSalman is the most effective world leader on Twitter based on the average number of retweets per original tweet. Of his ten tweets over the past year, King Salman has received an average of 147,456 retweets. President Trump’s personal Twitter account, @realDonaldTrump, is the second-most effective Twitter account of any world leader, with an average of 13,094 retweets per tweet. Pope Francis is in third place, with 10,337 average retweets per tweet. President Trump’s unorthodox use of Twitter during the U.S. presidential election campaign, and especially since taking office, has left many governments around the world wondering if – and how – they should engage with @realDonaldTrump on Twitter. Some leaders, such as Prime Minister Justin Trudeau of Canada and Pope Francis, have sub-tweeted President Trump without directly mentioning him by name. Only three world leaders have addressed @realDonaldTrump directly on Twitter to rebuke his policies, including Mexican President Enrique Pena Nieto; Hilda Heine, the President of the Marshall Islands; and Ricardo Rosselló, the Governor of Puerto Rico. The 2017 edition of Twiplomacy also examines the use of other social media platforms including Facebook, Instagram, Snapchat and Periscope, and the Twiplomacy.com website includes rankings as well as a social media atlas for each country studied. The study found, for example, the number of governments using Periscope has doubled over the past year, offering a cost-effective way to broadcast press conferences live. The 2017 Twiplomacy study analysed 856 Twitter accounts of heads of state and government, and foreign ministers, in 178 countries with a combined total audience of 356 million followers. Foreign ministries tend to use Twitter to establish mutual relations. The European Union (EU) External Action Service is the best-connected foreign office, mutually connected to 128 peers. Russia’s Foreign Ministry is in second position, maintaining mutual Twitter relations with 127 other world leaders. The German Foreign Ministry has 116 mutual connections with peers, followed by the UK Foreign Office and the Foreign Ministry of Norway with 115 and 109 mutual connections, respectively. 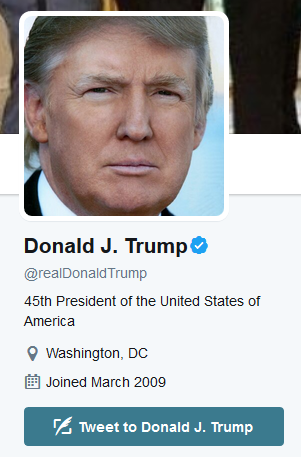 The Donald Trump @WhiteHouse account does not follow any other foreign leader. The archived @ObamaWhiteHouse account, conversely, follows the UK government account, @Number10gov, and the Russian Prime Minister’s account, @MedvedevRussiaE. The most followed non-government account is the United Nations Twitter account, @UN, which is followed by 338 of the 856 world leaders’ Twitter accounts; @BarackObama and the @ObamaWhiteHouse are followed by 312 and 254 world leaders, respectively. @UNICEF is the second-most followed international organisation and The New York Times (@NYTimes) is the most followed news organisation. The @Twiplomacy Twitter account is the eighth-most followed non-governmental account by world leaders, with a following of 184 heads of state and government, ahead of @Reuters and @TheEconomist. Mexican President Enrique Peña Nieto is Latin America’s most followed leader. @EPN has 6.3 million followers, far ahead of Colombia’s President @JuanManSantos, Argentina’s @MauricioMacri, and Venezuela’s @NicolasMaduro, each of whom have more than 3 million followers. Kenya’s Uhuru Kenyatta, @UKenyatta, is Sub-Saharan Africa’s most followed leader with 2 million followers, ahead of Rwanda’s @PaulKagame and Nigerian President Muhammadu Buhari (@MBuhari), both of whom have more than 1 million followers. The UK Prime Minister, @Number10gov, is the most followed EU leader, with more than 5.1 million followers, ahead of the British @RoyalFamily and France’s @Elysee Palace, with 2.9 and 1.5 million followers, respectively. Newly elected French President @EmmanuelMacron has shot into fifth place behind Spanish Prime Minister @MarianoRajoy, both with more than 1 million followers. Sheikh Mohammed bin Rashid Al Maktoum, @HHShkMohd, is the most followed Arab leader with 7.9 million, followed by Jordan’s @QueenRania and Saudi Arabia’s @KingSalman with 6.5 million followers each. 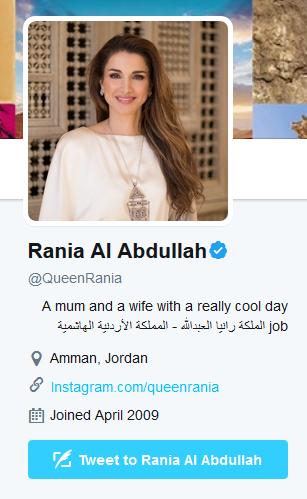 India’s Foreign Minister, @SushmaSwaraj, is the most followed female world leader with 8 million followers, ahead of Jordan’s @QueenRania. Abdullah Bin Zayed, @ABZayed, the Foreign Minister of the United Arab Emirates, is the second-most followed foreign minister with 3.9 million followers, with Saudi Arabia’s Foreign Minister, @AdelAljubeir, in third place with 1.3 million followers. Among the foreign ministries, the U.S. State Department (@StateDept) is the most followed, with 4.3 million, ahead of the Turkish Foreign Ministry (@TC_Disisleri) and India’s @IndianDiplomacy, with more than 1.2 million followers each. More than 4,100 embassies and 1,100 ambassadors are currently active on Twitter. The complete collection of social media studies can be found on bm.com and twiplomacy.com.